When Do Severe Food Allergy Symptoms Require a Doctor? When Should I Go To the Doctor for Food Allergy Symptoms? Food allergy symptoms, especially severe symptoms, are never something you can ignore. It's sometimes possible to treat yourself at home, but if you're not sure, or if these are symptoms you don't normally experience, you absolutely should err on the side of caution. In general, if you think you might be experiencing an allergic reaction, have your doctor check out your symptoms. Call 911 or seek emergency medical care at the nearest medical facility if your symptoms involve throat swelling or trouble breathing. The guidelines below will help you determine if what you're experiencing warrants medical care. You'll have to take each different situation on a case-by-case basis, but these general guidelines can help you determine which symptoms are likely to be associated with food allergies or severe food intolerances and whether you need to call the doctor, or can treat the problem at home. These symptoms can indicate a severe allergic reaction called anaphylaxis. Anaphylaxis, or anaphylactic shock, is a life-threatening reaction that's sometimes triggered by food allergens. Severe asthma attacks also require immediate attention from a medical professional if they do not respond to rescue medication. These symptoms often indicate a food allergy that has the potential to develop into an anaphylactic allergy if your body encounters the offending food again. Your doctor is likely to recommend further testing as soon as possible and may want to prescribe emergency medication in case of another, more severe reaction. Infant feeding difficulties need to be resolved quickly for the proper growth and comfort of the baby. Severe digestive symptoms can indicate food allergies or several other acute conditions (like food poisoning), but if these symptoms are severe enough to prevent you from replacing fluids, you may need treatment for dehydration in addition to an evaluation for food allergies or intolerances. Your doctor may prescribe anti-vomiting or anti-diarrhea medication or may recommend you go to the hospital for rehydration treatments. These symptoms could indicate food allergies (including a condition called oral allergy syndrome), food intolerances, a rare condition involving your esophagus called eosinophilic esophagitis, or other conditions that may be triggered by food (such as irritable bowel syndrome). When you see your doctor, expect a physical exam, discussion of your history and symptoms, and potentially in-office testing or referral to an allergist, immunologist, or gastroenterologist for further examination. If your baby doesn't seem to be gaining weight (or if she seems to be losing weight), her pediatrician will want to examine her growth curve and may consider physical causes. You can treat your symptoms at home when you have hives over a small area of your body that aren't associated with other allergy symptoms (such as breathing difficulties, changes in heart rate, or wheezing). Many people assume that food allergies are the only cause of hives, but hives can be caused by many triggers—heat, cold, stress, medications, infections, and exercise are others. Mild cases of hives that don't cover much of the body and don't appear with other symptoms of a severe reaction can be treated with over-the-counter antihistamines such as Benadryl (diphenhydramine) to reduce itching and swelling. Nonetheless, if your hives do not respond to several doses of antihistamine, cause severe discomfort, or if they appear every time you eat a particular food, they warrant a call to your doctor. Food allergy symptoms that seem minor at first can sometimes worsen into a medical emergency. If you notice rapidly worsening symptoms, or if you experience difficulty breathing, you should seek help immediately. And if you feel as if something isn't quite right, even if your symptoms don't seem that bad, you should consider contacting your doctor. American Academy of Allergy, Asthma & Immunology. Food Allergy fact sheet. Food Allergy and Anaphylaxis Network. "What is Anaphylaxis?" Internet Resource. 2006. Is It Possible to Have a Caffeine Allergy? 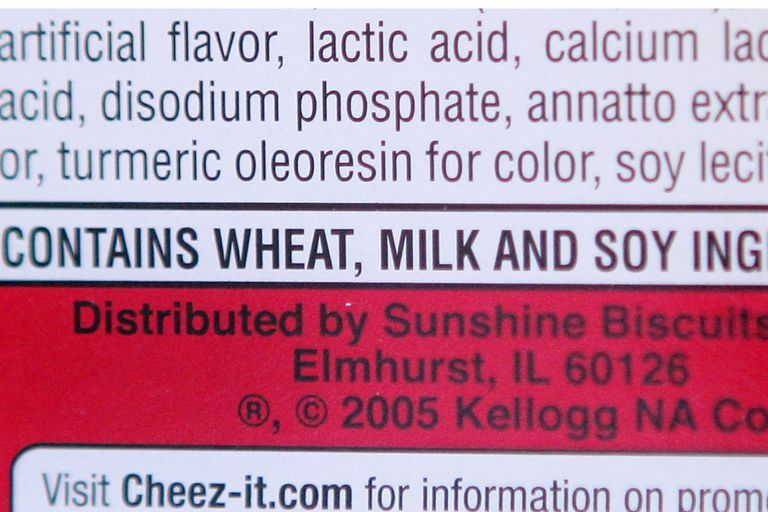 Are Red and Yellow Food Dyes to Blame for Your Stomach Ache? Does Your Baby Have a Food Allergy?